Did it taste better with buttermilk or regular milk? Honestly, I think it's about the same. The vinegar adds the tang to regular milk. Do you think it will turn our the same using vegan products (Almond milk, vegan mayo, sour cream)? Without having tested it myself, I can't say for certain. However, many people have made dairy free versions and left comments here that it turned out great. This looks like a good recipe. 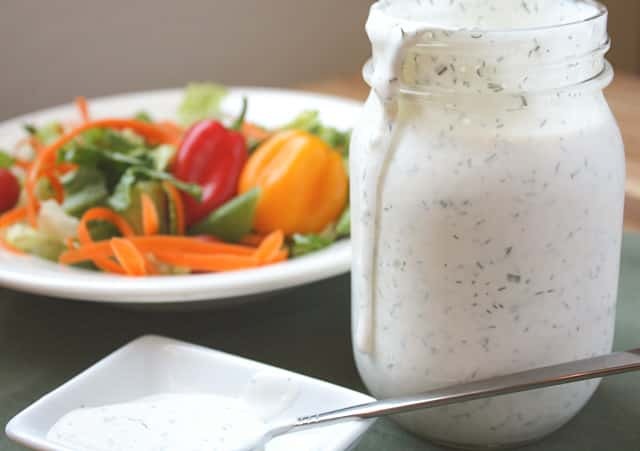 I like restaurant style ranch dressings; not so much any of the store bought ranch dressings. I hope you love it as much as we do, Alexia. Greek yogurt instead of sour cream? Many people have commented that substituting yogurt worked well for them. Is there a way to make it a little more thinner? Sure, just add more milk. Enjoy! 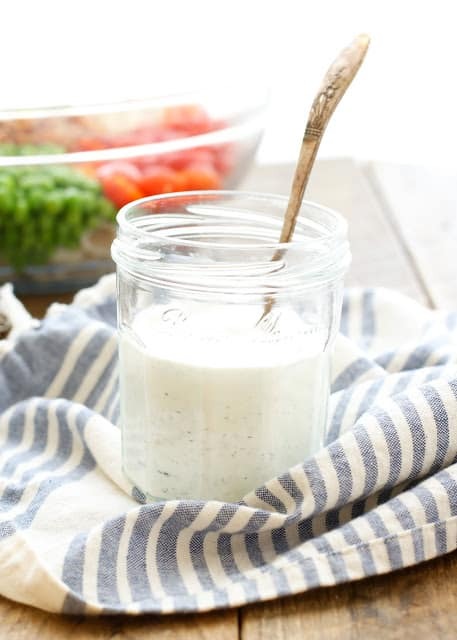 I have been searching for a homemade ranch dressing for years and I came upon your recipe yesterday. Made it last night and I will never have to look for or try another ranch recipe again. It is delicious! 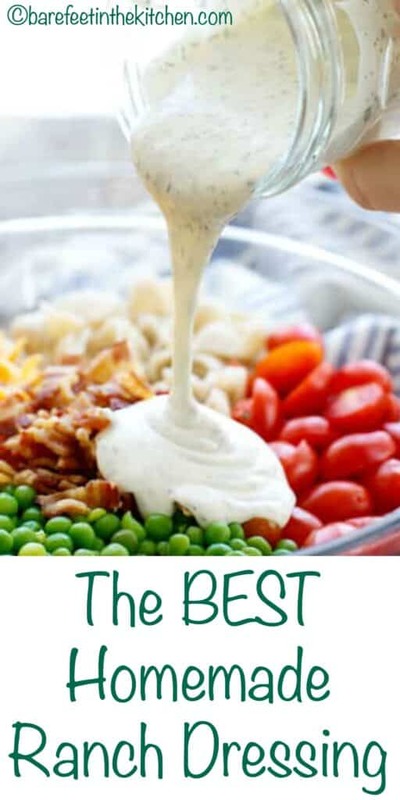 I am so happy that you love the ranch dressing as much as we do, Karen! Did you use the buttermilk or regular milk? Really great ranch, I'm about to make it for the second time and I'm going to add less lemon juice, and less dill weed. I think I'll like it with a little less tang. I'm thrilled you like it, Eric. About how long of a shelf life does it have? I love ranch, but I don’t eat a lot of it. The recipe looks delicious, but I’m hesitant to try to make it without know how long it lasts. Thank you! It must be kept in the fridge, not on the shelf. It lasts without any problems for about a week in my house. 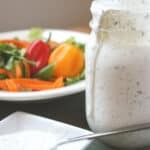 I made this ranch dressing today and it was fantastic!! So glad I found this recipe on your site. I will never buy store bought ranch dressing again. This will be my go to RD from now on. Thanks so much for sharing your recipe. I'm thrilled that you love the dressing so much, Gena! This sounds delicious!! How long is it good for in the fridge?? It will last at least a week, Pollyanna. Can I premix all the dry ingredients in a tight lid glass jar in the kitchen cabinets for a fast go to ranch dressing whenever we want some? You sure can, Linda. Enjoy! My husband is in a sodium, potassium restricted diet. It would be nice to see the nutritional value of a serving. 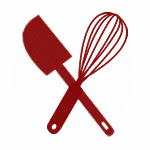 There are several online calculators available where you can cut and paste all of the ingredients to check the nutritional information. This isn't something that I am capable of providing for all of the content on this site. 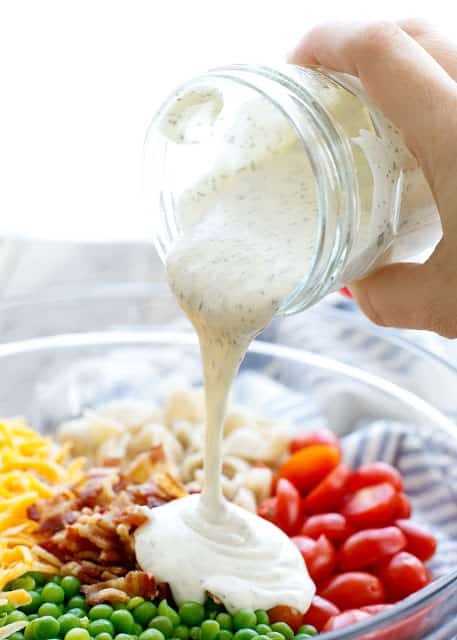 Delicious ranch dressing. I may have used a little more lemon juice than called for, but we are all lemon lovers, so it was great for us. Thanks for a great recipe! I'm thrilled that you loved the ranch, Vivian! Love this dressing. It now has a permanent place in my fridge and we eat it on almost everything. I will never buy the premade stuff for ever again. I'm so happy to hear that, Pam!